Dec - 11 | By: mattschulte | no comments. JOAN original score by Mark Orton from Lower Boom. 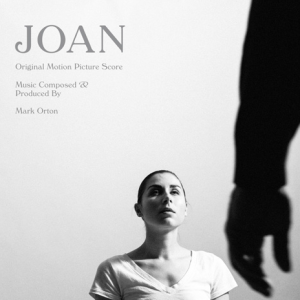 LOWER BOOM, a Portland, Oregon based studio that innovates in the production, distribution and marketing of micro-budget films, announces the release of the soundtrack for it’s newest film, JOAN. The score, composed and produced by Mark Orton, is available as a beautifully packaged CD and also available worldwide at all digital stores and streaming services including iTunes. JOAN is a present day re-imagining of the silent classic film, Carl Dreyer’s Passion of Joan of Arc. Set in a Conversion Therapy clinic, rather than a courtroom filled with judges, Joan defends herself from the clinic counselor’s attacks, foregrounding the gender identity issues implied in Dreyer’s masterpiece. JOAN is written and directed by Matt Schulte. MARK ORTON, founding member of the genre-bending acoustic chamber ensemble TIN HAT, has written original scores or contributed music to numerous films including THE GOOD GIRL, THE REAL DIRT ON FARMER JOHN, SWEET LAND, EVERYTHING IS ILLUMINATED, BUCK, THE REVISIONARIES, MINE, Fernando Meirelles’ 360, and Alexander Payne’s NEBRASKA. Recent projects include PEOPLE-PLACES-THINGS, MY OLD LADY, Ken Burns’ THE ROOSEVELTS, and Laika’s THE BOX TROLLS. An alumnus of The Peabody Conservatory and The Hartt School of Music, and a recipient of a Sundance Institute Composer Fellowship, he was nominated Best New Composer by the International Film Music Critics. Mark is a multi-instrumentalist and collector of antique and unusual musical instruments, which he often employs in his scores. As an arranger he has worked with artists including Tom Waits, Willie Nelson, Mike Patton, and Madeline Peyroux. In addition to film, he composes music for dance, radio, the circus and the concert hall. He lives in The Great Pacific Northwest with his wife and son. MATT SCHULTE is a writer/producer/director whose films have screened at venues and festivals around the world. He is also the CEO/founder of Lower Boom.